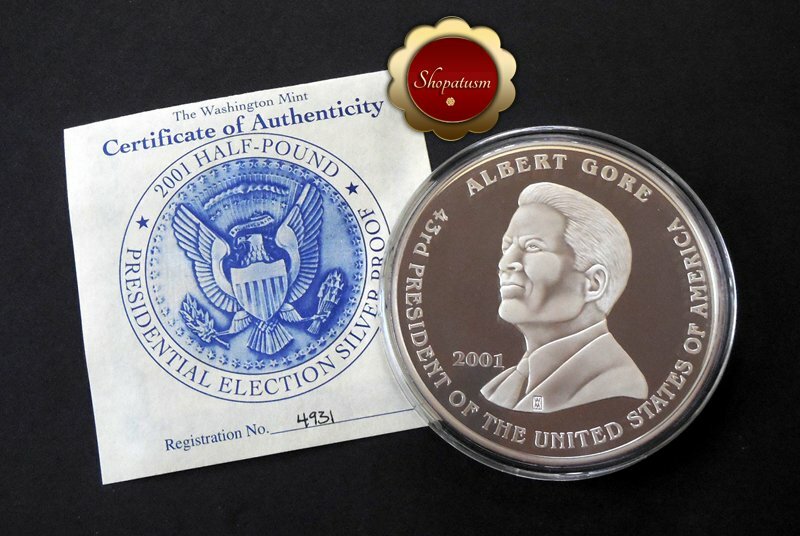 2001 8 Troy oz 999 Silver Proof Presidential Election Al Gore George Bush Box & COA. This is a (8 oz. 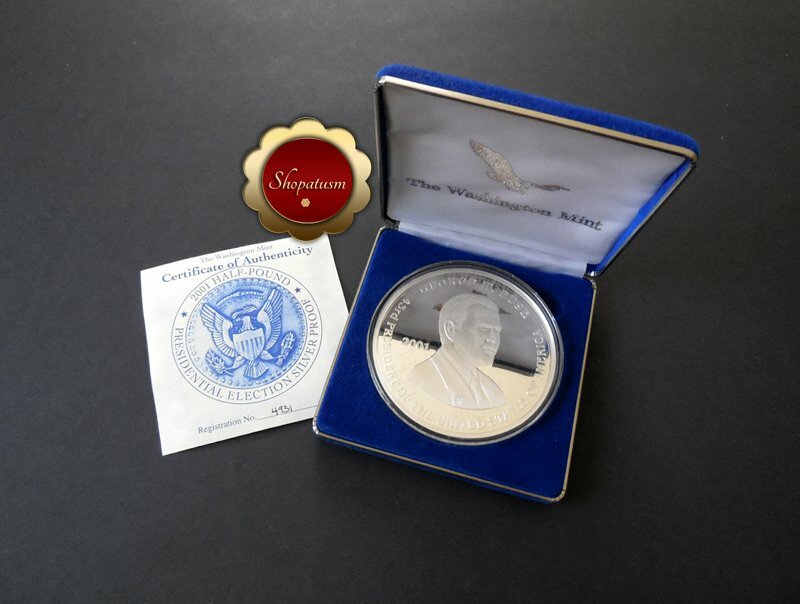 Troy) giant half-pound presidential election silver proof from The Washington Mint. 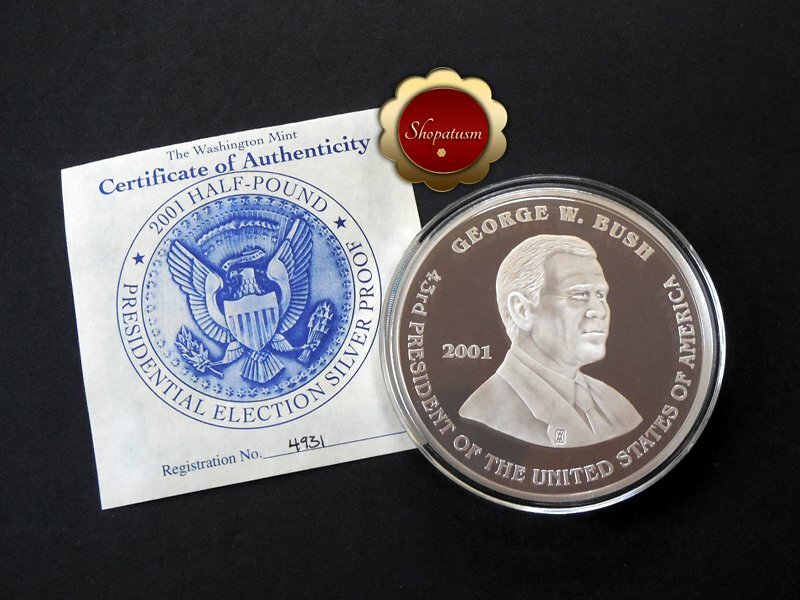 .999 Pure silver, Proof, 3.5 inches, Mintage 25,000, Design: (Obverse) Al Gore (Reverse) George W. Bush, Registration Number #4931. 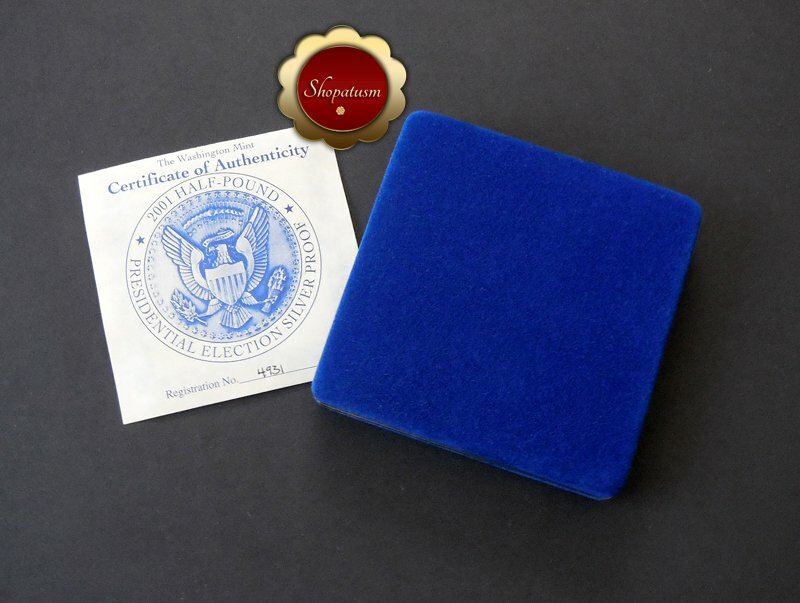 This is from my personal collection and comes with its original box and COA.